Many countries in the Middle East are often criticised for the slow pace of reform in the telecom sector, but as editor Roger Field points out, the Gulf appears to be leading the way in one important aspect of telecom—roaming. At last month’s Roaming MENA Conference, one of the main discussion points concerned the Gulf Cooperation Council (GCC) roaming regulations, which intend to reduce the cost of roaming charges by placing a cap on the wholesale and retail roaming fees that can be charged between operators in the Gulf. The regulation has drawn some criticism from operators, and some have suggested that self regulation has already been achieved by simplifying roaming tariffs and giving end-users a clear indication of roaming fees. With more consumers using mobile data services, the issue of ‘bill shock’, especially as a result of roaming charges, has become of greater concern not just to regulators but also to operators themselves who are aware of the importance of quality of experience, which of course includes billing. Do you believe self-regulation is enough? Keith Willetts, chairman and CEO of TM Forum, shares his thoughts on cloud services and the challenges telcos face with it. As he points out, many of today’s early cloud providers are product companies that are learning how to deliver complicated services. One would think that that telcos have the upper hand when it comes to delivering services because of their brand recognition, large volume of customers and resources to deliver services; however, according to Willetts, with those attributes comes a poor reputation of customer service, a history of exposing technical complexity (rather than hiding it), a tendency to be slow to make decisions, and the weight of regulations and government. The opportunity for telcos in the cloud is huge if they move quickly—not building the whole offering themselves—but rather putting in place delivery systems, customer support, etc. Cloud is a two-sided business model, where telcos can partner with cloud providers and act as a go-to-market service enabler. The example Keith uses in his article is that the telco could just provide the managed bandwidth that the cloud service needs. But it could also provide a lot of value—for example, providing the cloud store ‘front window’ (catalogs, etc. ), security and authentication, and billing and customer care. What do you think of this kind of model / partnering? Do you see cloud being an opportunity for telcos? From a network perspective, the most striking thing emerging from this year’s Mobile World Congress was just how much the industry’s mindset has shifted from a 3G-oriented, hierarchical network architecture to a flat, all-IP architecture. But as analyst Patrick Donegan points out, the daunting scale of this upcoming architectural transformation cannot be overestimated. To keep the cost of running the network at a sustainable level, operators’ network planning, engineering and operations teams will have to design and deliver a network-wide transformation unlike anything they have ever been asked to deliver on before. Patrick compares this transformation to a house being refurbished. Previously, transformations of the mobile network were discrete, like redoing the bathroom or building an extension. The 4G transformation won’t allow anything like that. IP makes network boundaries and domains more porous, so that what you do in one domain necessarily impacts all other domains (not just adjacent ones). And it drives feature distribution, which in turn drives demand for new product types. This kind of transformation more closely resembles refurbishing an entire house while you’re still living in it. The need for coordination and alignment between work undertaken in one “room” and another is so much greater. Do you see this network transformation impacting quality of service, especially with more mobile data traffic? Mobile World Congress, Day 4: It’s a Wrap! Another Mobile World Congress is over! I have to confess that I say this with a great deal of relief. I am not sure I could have survived one more day of long hours, wall-to-wall meetings, noise, artificial light, irregular (and often missed) meals and lack of sleep! That said, this year’s event has been truly fantastic for Comptel. Our expectations were very high, but they were easily exceeded. Not only did the vast majority of our pre-set meetings happen, but many very positive unplanned and ad-hoc meetings also took place . Furthermore, unlike many events that contain “world” in their names, this event can genuinely claim to be global. We met operators and partners from all over the globe. Unfortunately, I didn’t get much opportunity to walk around the exhibition halls. However, one thing I did notice (in addition to the omnipresence of Android) is that tablet computers are taking off big time. New models were on display at a number of booths, and many of the sales people trying to convince me to invest in their fabulous events or publications used tablet computers to present their compelling arguments. This is obviously an interesting development for the mobile industry, not least for operators who need to provide and manage the bandwidth necessary to connect all of those devices to the ‘net. Bigger screens mean more data traffic, of course. Interestingly though, I heard from IDC analyst Elisabeth Rainge that the majority of tablet connections are through Wi-Fi rather than mobile networks; in other words, tablets are more of a nomadic tool than a truly mobile one. As for the highlight of the event for me? It could have been the Light Reading Speed Dating event, which was a great deal of fun, and very useful at the same time. But on balance, I think it was watching England’s Arsenal football team play the mighty Barcelona team in a local bar last night. I can still see the looks TelecomAsia editor Joseph Waring and I got from locals, when we punched the air with delight as Arsenal overturned the Barcelona lead to win 2-1! This morning, I was able to catch up with my colleague, Simo Isomäki, about some of Comptel’s Mobile World Congress happenings. He has had many great discussions with customers about dynamic SIM management while in Barcelona. And interestingly, Simo found that it’s not the cost savings benefit that’s really resonating with communications service providers (CSPs), but rather the ability to improve subscriber campaign success rates through greater personalisation. Operators can really create a dynamic customer experience, as SIM card packages no longer have to define their campaigns. Think of handsets as service kiosks, and present customers with a menu that allows them to select their own services based on their device types, whether they want pre-paid or post-paid, etc. CSPs can also further segment their subscribers and offer totally differentiated packages based on the context in which customers purchased their SIMs, like the retail store type (Tesco versus Harrods, for example) and the customer’s location at the point of first use. This even gives operators a greater revenue advantage, with customers more likely to buy services directly offered and tailored to them. It’s great to hear about CSPs’ interest in dynamic SIM management, and discuss how this area of OSS is evolving beyond the sale of vanity numbers and support of Mobile Number Portability. This really indicates a deeper level of thinking around personalising the customer experience. We’re only half way into this year’s Mobile World Congress, but like I mentioned yesterday, this is the GSMA’s—and Comptel’s—busiest conference yet! Our booth’s three meeting rooms were completely booked up, and there was significant overflow into our general lounge area throughout the day. Although most of Comptelians’ time was spent at the booth, we were able to participate in a couple of other networking activities around the Fira Barcelona and city. CALA vice president Diego Becker sat down for a few minutes to record a video interview with TeleSemana. In the following Spanish language clip, he discusses our commissioned research showing that consumers are willing to pay extra for a higher quality of experience (QoE) and greater service personalization, as well as how policy control is becoming essential for communications service providers to offer differentiated, convergent broadband services and guarantee that QoE. And this evening, I attended Light Reading’s Meet the Editors & Analysts ‘Speed Dating’ reception at Gran Foc. It was nice to catch up with old friends from Heavy Reading like Ari Banerjee and Graham Finnie, and meet others from across the OSS and greater telco industry. Overall, we have been very pleased with the high attendance in Barcelona as well as the productive meetings being conducted with customers, prospects, partners, media and industry analysts. Don’t forget to come visit us in Hall 1 at Stand #1C06 if you have not done so already! 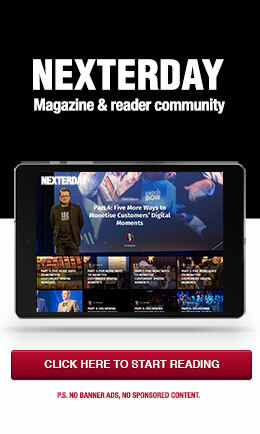 Today marked the long-awaited start of the Mobile World Congress in Barcelona, Spain. Earlier this month, the GSMA predicted that the mobile industry trade show would be its biggest and best ever—and that’s certainly proving to be the case for Comptel. We had well over pre-set 100 meetings with customers, prospects, partners and media and industry analysts, and are very much anticipating this to be a successful event. After walking around the Fira Barcelona for only a few minutes, it became clear to me that Google’s Android was everywhere! That little, green robot (which surprisingly resembles our own Comptel Control and Charge Franken-Network) covered everything from Huawei’s and Samsung’s expo hall booths to t-shirts and other giveaway goodies and more. It definitely lived up to its status as the current, high profile smartphone operating system in the world. What the prominence of Android demonstrates is how much the customer experience has taken centre stage—and the Nokia / Microsoft tie-up can be very much seen in that context. As our research demonstrated, consumers see quality of experience (QoE) as a key driver that will influence their allegiance to their communications service provider, handset manufacturer, operating system, etc. And of course, looking at it from our own OSS perspective, it is clear that policy and charging control provide key levers to deliver that QoE. What have you thought about Mobile World Congress so far? What other key themes do you see emerging throughout the week? As the industry gears up for another Mobile World Congress, Total Telecom’s Nick Wood takes a look at LTE developments over the last 12 months, as it’s sure to be a key focal area at this year’s show. In February 2010, commercial LTE deployments were restricted to two countries, but by the end of last year, the technology was on its way to becoming mainstream. Some of the world’s largest operators, such as Verizon, TeliaSonera, Vodafone Germany, among others, have launched LTE services, with many more intending to follow suit in 2011. But, as Nick points out, while operators forge ahead with service rollouts, the industry as a whole is facing an unexpected LTE-related issue: marketing—leaving many wondering what actually constitutes true 4G. Basically, any CSP operating an HSPA network or faster can claim to be offering 4G services, so Total Telecom is focused on separate the true LTE players from the 4G players while in Barcelona. International managing editor Ray Le Maistre caught up with Heavy Reading’s chief analyst Graham Finnie on policy management. Graham believes that policy management will be just as hot in 2011, as it was in 2010—and for similar reasons—mobile broadband and the need to manage fair usage. But what is interesting to note is that use cases are beginning to shift. Operators are applying policy control in new ways beyond fair-use management and looking at the OSS solutions as a way to personalise, monetise and offer differentiated services. For example, some operators have begun to use policy control to offer unlimited access to Facebook or providing differential access to particular types of subscribers. How do you see policy control shaping out for 2011? Tuesday’s keynotes from Vodafone, Telefonica, AT&T and more. While these talks aren’t necessarily related to OSS / BSS, this is a chance to hear what operators have planned for 2011 and the next steps in their next-gen mobile network rollouts. Thursday afternoon sessions on the future of the network and LTE. These talks will give an overview on how LTE is ultimately enabling attractive new mobile broadband services, while ensuring the support of voice and SMS services. Telesperience analyst Teresa Cottam also provides a rundown of who’s at MWC11, where to meet people and what’s hot in her recent post BSSOSS at MWC11. Make sure you stop by Comptel’s booth (Hall 1, Stand 1C06) and say hello! We’ll also be blogging and tweeting throughout the show, so make sure you follow the conversations. On January 3rd, I officially joined Comptel as the new CEO, so I have now been with the company for just over one month. Already, I have travelled extensively to meet customers as well as Comptelians across the world. I have visited the U.K., Italy, Abu Dhabi, Dubai, Saudi Arabia, Malaysia, Thailand and Indonesia. I have seen some excellent collaboration between Comptel, its partners and communications service providers–and have been very impressed! Today, Comptel published its Q4 and 2010 results. 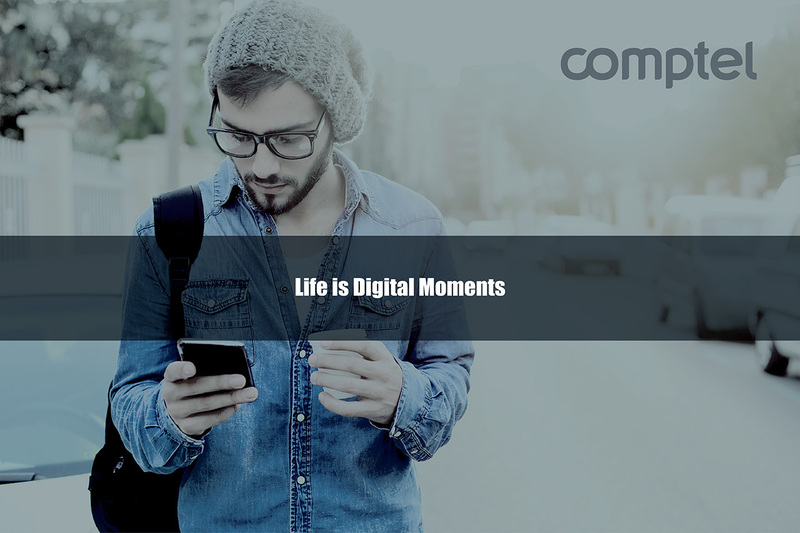 Comptel’s business developed favourably during the last quarter of the year, with net sales growing and good profitability in Europe, Asia-Pacific and in the Americas. Solution sales picked up towards the year-end, and we also agreed on projects to consolidate and extend some of the systems that have been delivered earlier. Overall, our 2010 financial results have improved from the previous year. Most pleasing of all is to see that partner sales have grown, in line with our strategy. Overall, our financial position remained strong. This, combined with our excellent products, people, partners and customers provides us, I believe, with a solid basis on which to build up the company. Mobile broadband has become a part of everyday life, and with so many people depending on—and demanding for—mobile connectivity, we at Comptel wanted to explore consumers’ evolving relationship with providers of mobile broadband services and their levels of satisfaction with operators’ service and price plans and flexibility. Last month, we commissioned independent research firm Vanson Bourne to survey 2,000 consumers from across the United Kingdom, France, Germany and United States, and found that mobile broadband users are now ready and willing to pay for a higher quality of experience (QoE). Seventy-four percent of respondents who are willing to pay for a higher QoE said that they are prepared to spend more money just for faster download speeds. Which of the following would you be willing to pay more for? And, 61 percent indicated that they want their CSPs to offer more personalized yet simpler service plans, such as having pricing based on individual usage habits while getting just one bill for all Internet and broadband services. Would you like to see your CSP offer service and price plans that are simpler and bespoke? Further to this, 87 percent of consumers see QoE as a key driver that will influence their allegiance to their CSP, and the majority of them would not only move but also pay more money for faster and personalized services. Is a high QoE a key driver for you when it comes to changing CSPs? In today’s highly competitive market, providing high QoE could be the most powerful mechanism for gaining or even just keeping customers—and the demand for a better mobile broadband experience presents a major revenue opportunity for CSPs. Policy control and charging is key for operators to capitalize on consumers’ demand for faster download speeds and more personalized yet simpler service plans. It can help them optimise QoE by smoothing data usage more evenly across their networks, while dynamically adapting and simplifying service bundles based on individual customers’ wants or needs, and introducing progressive pricing strategies that monetise this consumer demand. Full copies of this research report will be available at the Comptel’s booth at Mobile World Congress (14-17 February in Barcelona ) in Hall 1 at Stand 1C06—be sure to stop by and say hello!